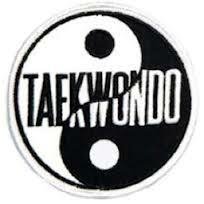 East Coast Tae Kwon Do is an ITF Chung Do Kwon style Tae Kwon Do school and old fashioned kickboxing style fighting. Through us students “earn” their rank with time, hard work, focus, and discipline. To provide a top level of instruction and education in martial arts. Through classes and community service we strive to instill a feeling of self-worth and accomplishments. With classes for people of all disabilities, we aim to teach and show them their abilities and strength in all aspects of martial arts and society, with special instruction, inclusion, and proper training. We offer classes for kids 5 1/2 – 8 yrs old and 9 – adult. We require no registration fees & no contracts to sign. Check out the info on our page, come check us out and try a few classes first. WE’VE MOVED: ECTKD has moved to 204 8th ST SE, Altoona. Fitness For Food..Norm Wrigley on WHO TV Channel 13 News at Noon. Obey instructors and respect others.